It is true that Hanukkah is the remembrance of the miraculous victory of the Jewish people over the Greek invaders, and the re-dedication of the Temple, which had been grossly defiled by Antiochus IV. It is also true that Yeshua observed this holiday, which is referred to in John 10. But what significance does this holiday hold for followers of Messiah Yeshua? Surely, it is more than lighting candles for eight nights on a beautiful menorah (hanukkiah), and eating jelly-filled doughnuts! I am reminded of the Jewish tradition where one places the lit menorah on a windowsill for others to see it from outside the home. Not only does it signal to others that we are celebrating the holiday, but it also reminds others of God’s faithfulness to His people. How much more are we to shine His light before others so that they will know Him? 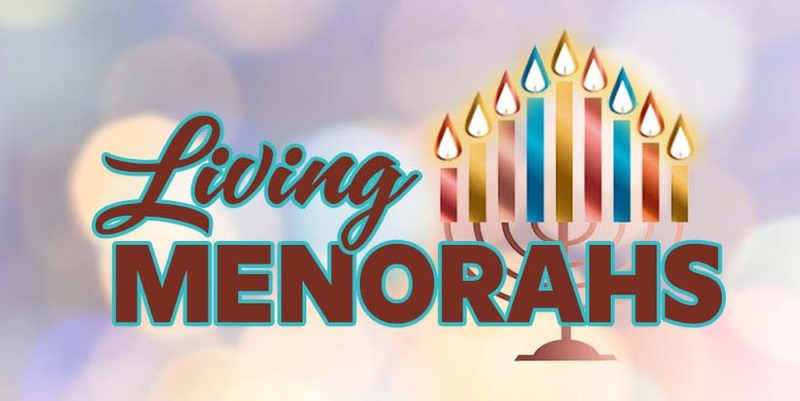 So, in the same way that we place the menorah on the windowsill to remind others of His faithfulness, let us also be living menorahs, shining His light to others as a witness of Him! As you light your menorah this Hanukkah, and recall all the ways God has been faithful to you, remember that part of shining His light means also extending His hand of mercy to those in need, and standing up to injustice. The Maccabees stood up to the powerful and mighty Greeks because they were zealous for God’s righteousness. May we followers of Messiah also be zealous for His justice, and seek His righteousness first! THANKS BE TO GOD. gOD IS GOOD – ALL OF THE TIME!